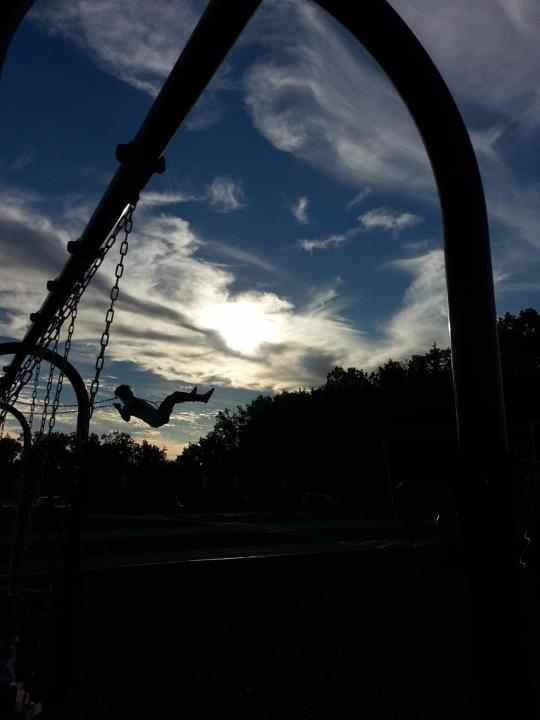 *Took this with my cell phone camera at a park. What does this photo say to you? To me: it speaks peace, harmony, a stress free environment! This takes me back to the moments in childhood. Right before you have to go in. Praying that the street lights hold off for a couple minutes, so you can keep swinging. The sky is always the most beautiful is the closing moments of daylight.